There was an old couple who lived with a lazy dog- some speckled hens and a chatty parrot. One day- along came a cat. 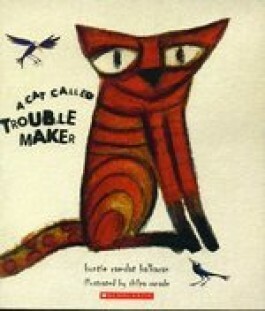 A cat called trouble maker..